Select Value 1" to 2" 2" to 3" 3" or Larger Up to 1"
Technology: Screw Machining Services are metal turning services that rely on automated turning methods for producing large quantitites of small parts. In its typical incarnation, a screw machine feeds stock into single or multiple spindles on which are performed a sequential series of machining operations such as boring, threading, and parting. Traditional screw machines feed the stock through a rotating spindle while variations hold the work stationary and approach it with rotating tools. Advantages: Screw machining services can offer high speed, high accuracy manufacture of small cylindrical parts. 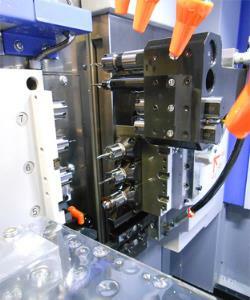 Applications: Screw machining services are used to make a variety of high production volume small and cylindrical pieces.